Many leaders confuse influence with power. However, there is a vast difference between the two and the simple act of learning that difference and how to use it can move your career ahead in unexpected ways. To illustrate–a story. Jody was a senior VP at a large financial institution. She captured the attention and support of top management because she produced top-notch results. Her performance was always at or above expectations. “Just keep doing what you’re doing,” they told her, paying little if any attention to just how Jody went about producing these valuable bottom-line results. Her formula for success had two major components: fear and intimidation. She would bully people, be condescending, blunt and demanding. By virtue of her position, Jody had power. What she did not have was influence. How can she (or you) shift the emphasis away from the use of power and focus instead on developing influence? Here’s the secret you need to know: you can start where you are. You don’t need a title or a high profile position to develop and use the five traits all influential people have. 1. Start with a solid reputation. You do this by managing how other people perceive you. There’s an old saying, “Perception is reality.” If people perceive you as being honest, reliable and trustworthy, then that’s your reputation. You become the go-to person, the one who can be counted on to get the job done. 2. Develop an enhanced skill set. This means you don’t just do a good job-you do a great job. You are an expert in your field and you don’t stop there. You’re already learning what you need to know to move to the next level. 3. Cultivate executive presence. When you have executive presence, others see you as being confident, powerful and in control. You’re charismatic, with a personality that makes people want to be around you, to play on your team. 4. Convey superior likeability. If you’re likeable, people feel comfortable with you. Rather than projecting an air of superiority, you put people at ease. People want to include you in meetings and projects because you make them feel excited and enthusiastic about whatever you’re up to. 5. Capitalize on your power to persuade. When you are persuasive, you win people over easily. Your critical thinking skills are sharp. You make solid decisions and other people want to follow you because they know you’re looking out for their best interests. Today’s workplace is competitive. We operate in a global environment and we must learn to compete on a worldwide platform. Anyone who wants to stay ahead of the global competition must learn to lead with influence. The old leadership model relied on tactics like leverage, control and manipulation. That’s not what real leadership looks like today. To stay competitive, you will need to develop and use all five elements of influence on a daily basis. When you do, you’ll have what it takes to succeed in almost any environment. . Which is exactly what Jody did not do. She thought she was succeeding, because those above her were impressed with her work. Laterally, however, her peers distrusted her because she spent her time promoting Jody rather than building up the team. Meanwhile her subordinates were afraid of her. Their creativity and productivity declined as their stress level increased. They began leaving in droves. Ultimately, Jody was asked to join them. And all because she relied on power rather than influence. Influence is the single most important element in your professional success strategy. People who have influence make game-changing decisions. They move projects and people forward. They inspire those around them and build teams that produce bottom-line results. 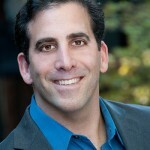 Joel Garfinkle is recognized as one of the top 50 executive coaches in the U.S. He has worked with many of the world’s leading companies, including Google, Amazon, Starbucks, Deloitte, Cisco Systems, Oracle, and The Ritz-Carlton. 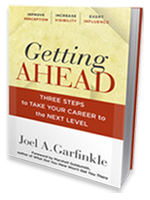 He is the author of seven books, including Getting Ahead: Three Steps to Take Your Career to the Next Level. More than 10,000 people receive his Fulfillment@Work newsletter. Subscribe and you’ll receive the free e-book “41 Proven Strategies to Get Promoted Now!